A word commonly used to explain the environmental factors which impact the taste of wine, terroir in relation to beer is a far newer construct, yet one that’s becoming a hot topic as more breweries––both in the U.S. and abroad––experiment with hyper-local ingredients imbued with the character of the surroundings in which they were grown. In Western Japan, Ishikawa Prefecture’s modest grows nearly every ingredient blended into its golden-hued Gran Agri hefeweizen, going so far as to create a beer with its own location-specific identity by brewing with water sourced from a nearby mountain. 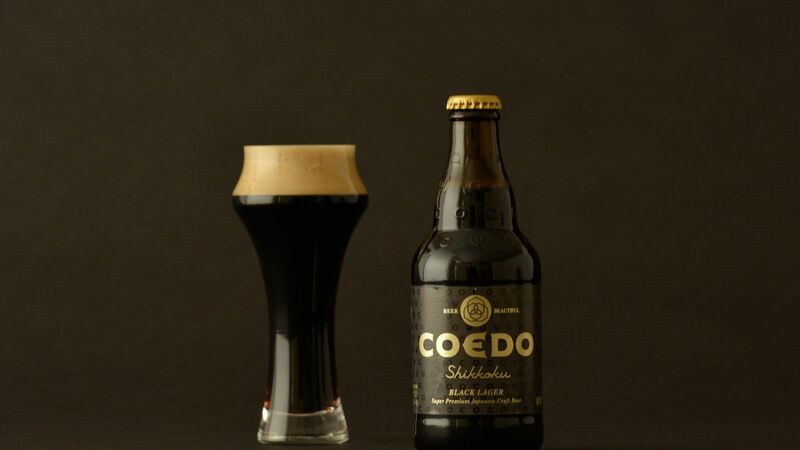 Meanwhile, Iwate Prefecture’s ––a century-old sake brewery that expanded into beer production just over 20 years ago––produces an oyster stout using ambient yeast to further enhance the sense of place imparted by the addition of oyster shells and meat plucked from nearby Sanriku Hirota bay. To some palates, these brews are able to convey a unique taste of place one could describe as terroir. A word commonly used to explain the environmental factors which impact the taste of wine, terroir in relation to beer is a far newer construct, yet one that’s becoming a hot topic as more breweries––both in the U.S. and abroad––experiment with hyper-local ingredients imbued with the character of the surroundings in which they were grown. But there’s no bigger proponent anywhere around the world of regionally and seasonally-sourced products than Japan, and the craft brewers building the country’s nascent artisan beer movement are helping to define this burgeoning category of terroir-fueled beer. While Japan has been brewing and drinking beer for at least the last 150 years, with its denizens, like in most countries, especially keen on lagers, it wasn’t really until 1994 when the government relaxed the country’s beer manufacturing laws that micro-brewing could begin to take root. A newly-passed mandate reduced the amount of beer a brewer needed to produce annually––from 2 million liters to 60 thousand liters––to gain a license, while overturning its longstanding dictum that beer could only be brewed from water, malt, and hops-–no adjuncts allowed. Under the happoshu license, lower-malt beer produced in quantities of 6,000 liters could be brewed with additional ingredients, which opened up the opportunity for brewers to start creating beers with more unique, local ingredients. Craft beer has only “gained recognition in Japan in the last five or six years,” explains Wataru Sato, Sekinoichi’s president and brewmaster. “Our goal is to create a uniquely homegrown Japanese craft beer culture … combining Western-style beer production with traditional Japanese techniques, such as … Japanese culinary approaches,” like brewing with an abundance of local ingredients. “Japanese culture has always prided itself on using local produce as much as possible” asserts Rob Bright, co-founder of Japanese craft beer site, . So much so that the Japanese government taxes imported foods, and promotes top domestic products from certain regions, to the extent that specific locales have become brands of their own, signifying a level of quality, such as Kobe beef or Hokkaido milk. Northwest of Tokyo, in Saitama Prefecture, one of the U.S.’s most widely-available Japanese beer brands, , is planning to start growing its own hops and barley. 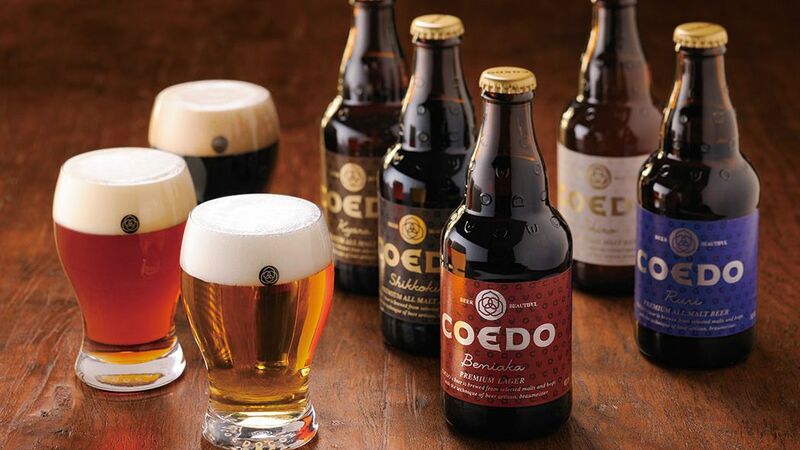 But for the last two decades, the brewery has been making one of its flagship beers with local ingredients: Beniaka­­–the world’s first ever sweet potato beer–brewed from Saitama Prefecture tubers. Over in Ibaraki Prefecture, –responsible for beloved beer brand , perhaps Japan’s best-known beer export––grows some of its own hops, contracting out the rest to local farmers. The brewery also produces its own wheat at a neighboring property, in addition to adjuncts like local plums. And even Japan’s most widely-sold craft producer, Nagano Prefecture’s –on offer at convenience stores throughout the country–spikes its cartoon-bedecked cans with regionally-flavored brews produced from the hops and wheat it grows. But, of course, brewing terroir-expressive beer isn’t unique to Japan. The U.S. has also seen an uptick in microbrewers working with native ingredients like Maryland-grown hops and wild yeast cultured from raw honey produced on a farm in Upstate, New York. In some cases, changing legislation is the culprit. For example, in 2012, New York Governor Andrew Cuomo passed a statewide law that required any producer seeking a Farm Brewery license to incorporate a certain percentage of locally-grown product into its beers. And reflecting back on the last half-decade, such licenses have since been issued. The beers that fall under Milner’s Native Series incorporate locally-grown ingredients like heirloom corn, and honeysuckle-derived yeast. Similarly, Cory King, founder of the Missouri-based , believes that the tremendous amounts of local fruit he uses in many of his beer allows drinkers to taste how hot or cold a given year was, a key competent to the idea of terroir. “The weather of that year, just like wine grapes, has an effect on the fruit.” Similarly, the fruit’s acidity and sugar content vary greatly from year-to-year, so “the fruit has a huge impact on our final beer” he finishes. Still, the major difference between what’s happening in the U.S. versus in Japan with regard to terroir beer is that, despite the proliferation of American craft breweries, out of that approximate 7,000 producers, the number of breweries offering a product with a sense of terroir is only a tiny sum. But out of Japan’s roughly 200 craft breweries, almost all brew with at least one local ingredient. And even the country’s two major mass-market beer producers, Asahi and Kirin, occasionally create beers with native Japanese product, like hops from Furano in Hokkaido. Perhaps Budweiser will one day follow.